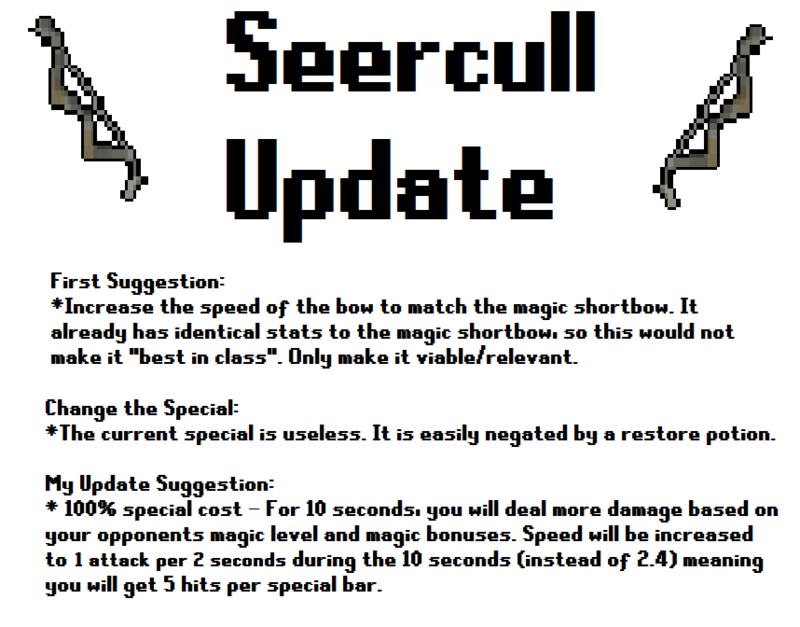 Do you like this proposed update to the Seercull bow? 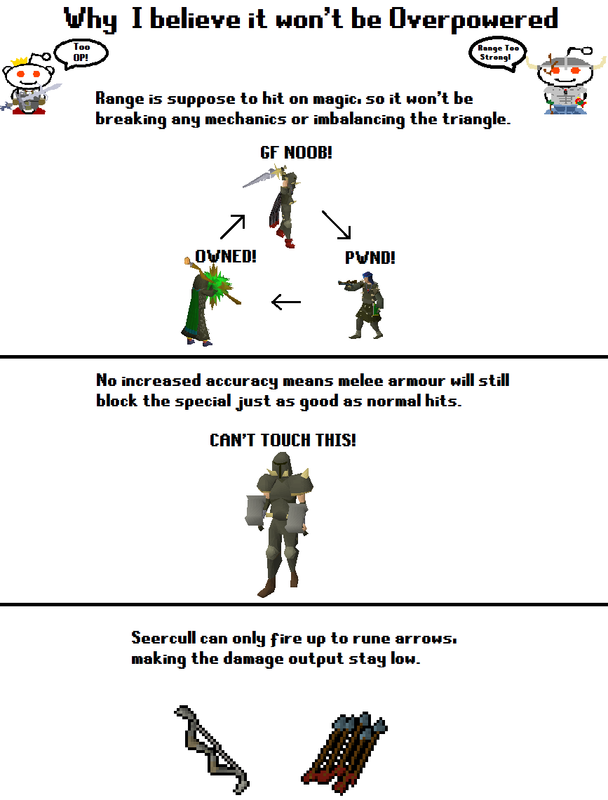 Hello, I've composed an update which I believe will make the seercull bow useful in both PvP and PVM and finally make it a viable weapon to use and a semi-worth while drop from DK's. I've made a commetary video where I go in depth explaining this idea which you can watch below, for those that don't wish to watch the video I've also included info graphics with all the information in the thread as well. Feedback and opinions are welcome, and I look foward to reading them. Thanks! I don't believe the tick system would allow them to do 2.0 intervals. And it may not be overpowered but it's certainly unbalanced. That special attack means that mages who are already disadvantaged towards ranged attacks are going to punished even further.